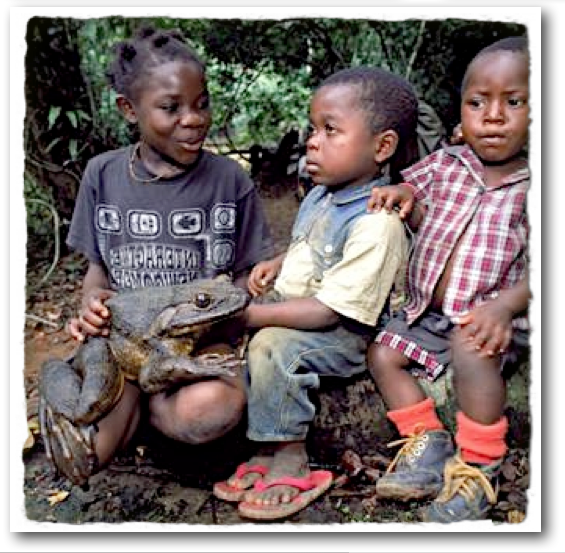 And yes, the Goliath frog is the biggest frog in the world. I think I'd run screaming into the jungle if I saw one in the wild! 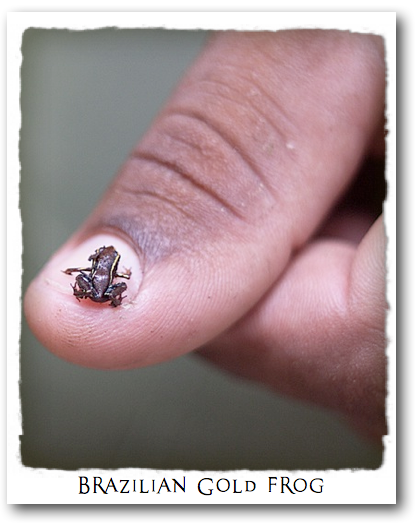 So what's the smallest frog in the world? The Brazilian Gold frog. For the last 100 years, they were thought to be babies of other frogs. But last year, someone realized these were adult frogs! Amazing! 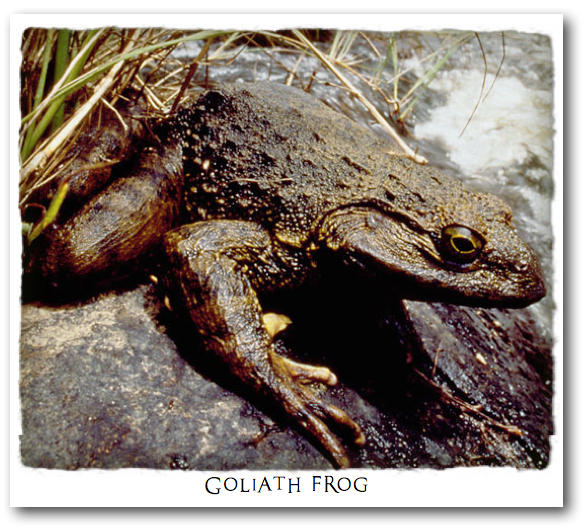 Okay, I think I'd want to find a Brazilian Gold frog rather than a Goliath in my backyard! What about you? Ok Ok I see the antics of these various frogs so tell me where did the "Froggy Voice" come from?